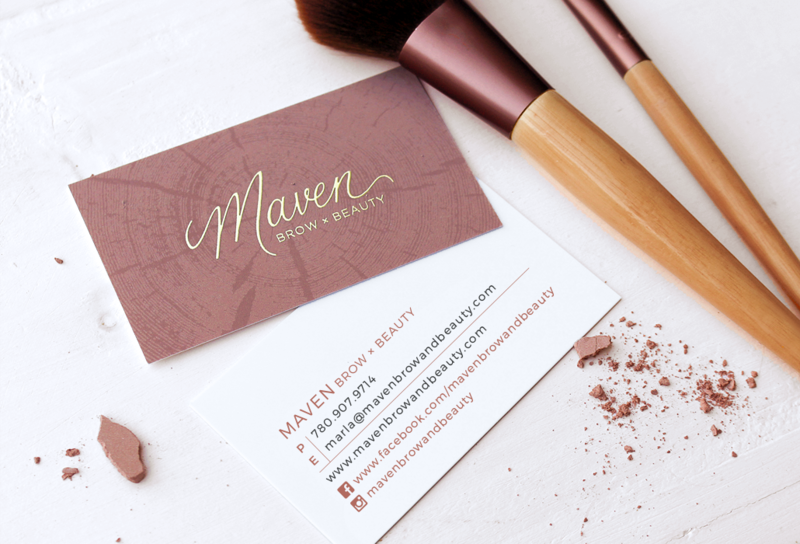 Maven Brow and Beauty provides makeup artistry and microblading services in the Edmonton area. Whatever your makeup needs – wedding, fashion, or intimate – Marla travels to your location to give you a relaxing, luxurious makeup application experience. Marla also offers high quality microblading services out of her studio in Stony Plain. Her free-flowing logo is feminine and refined, with a beautiful natural colour palette in muted rose, gold and grey.